1 Bdrm 1st flr Flat. Hall. Lounge. Dining kitch. Bathrm. Bdrm (CT band - A). Price over £150,000 Entry by arr. Viewing contact solicitors. (EPC band - E). 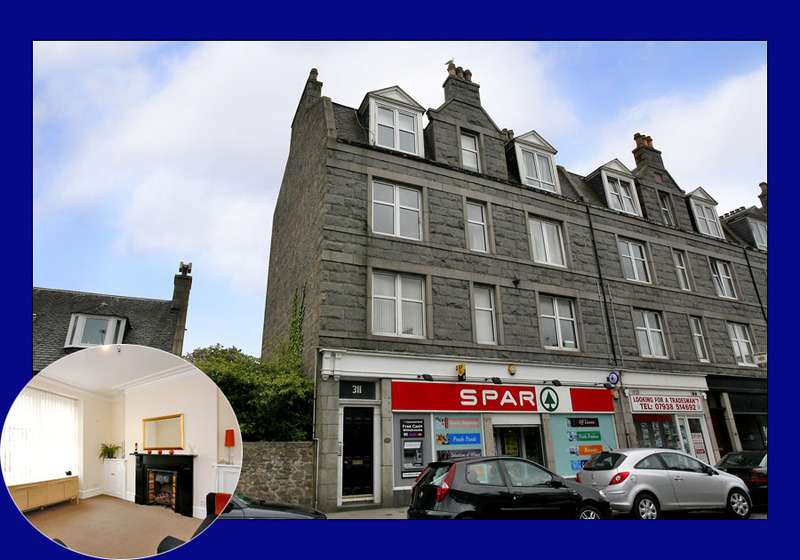 Located in the popular Holburn area of town and situated within easy commuting distance of Robert Gordon's campus at Garthdee and the city centre itself, this first floor flat forms part of a traditional granite building with its common areas protected by a security entry system. Tastefully decorated throughout the property. 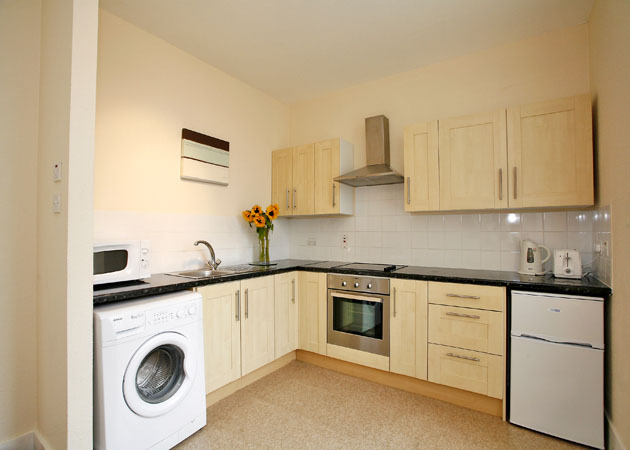 The accommodation comprises: hall; lounge; dining kitchen; double bedroom; bathroom. Attractive shared rear garden. Entrance: Well maintained communal entrance accessed via a security system. There is a timed lighting system also. Hallway: Hardwood exterior door leads to the hall; wall mounted security entry handset; high level electric meter; spotlights; fitted carpet; coat hanging rail. 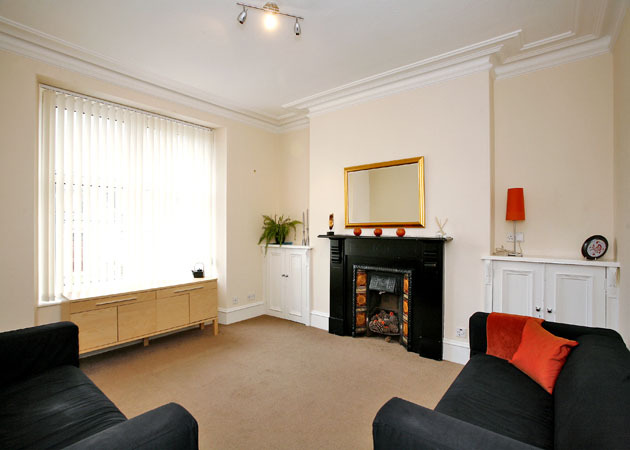 Lounge: (13'6 x 12'1) (4.11m x 3.68m) Double window fitted with a vertical blind located to the front of the property; feature fire surround with tiled hearth; 2 built in cupboards; moulded ceiling cornice; 3 bar spotlights; fitted carpet. Dining kitchen: (12'3 x 9') (3.73m x 2.74m) Spacious modern dining kitchen with base and wall mounted units linked by marble effect work surfaces and ceramic wall tiles; stainless steel sink and drainer; ceramic hob, oven and cooker hood; large window to the rear with fitted vertical blinds; Linoleum flooring. 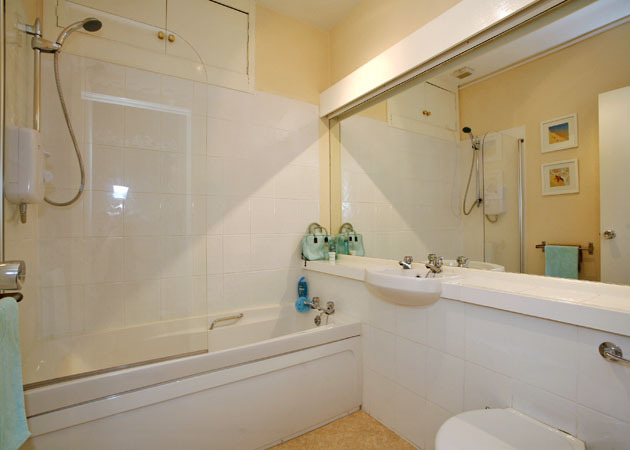 Bathroom: (7'1" x 6'5")(2.16m x 7.96m) Fitted with a three piece white suite; electric shower; large storage cupboard above the bath; tiled around Bath, toilet and sink area; towel rail; large mirror along one wall; linoleum flooring. 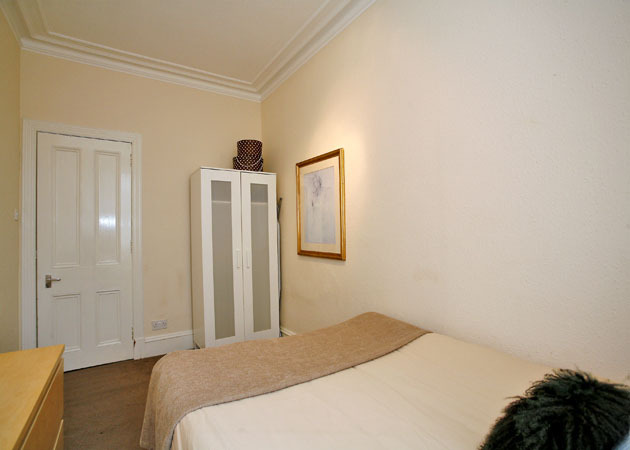 Bedroom: (14' x 7'9) (4.27m x 2.36m) Good sized bedroom with window to the front of the property with fitted vertical blind; moulded ceiling cornice; 3 bar spotlight; fitted carpet. 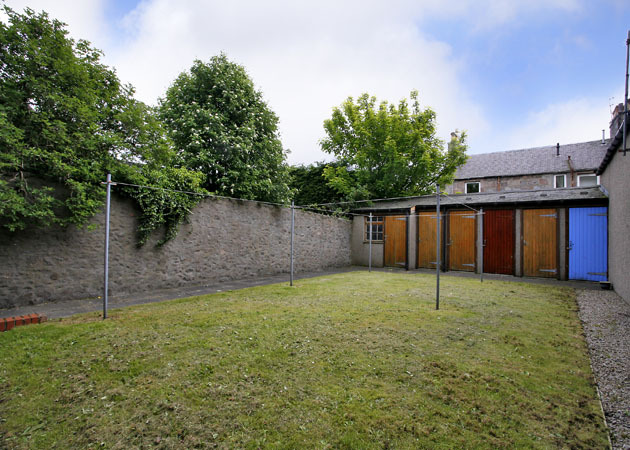 Outside: Enclosed shared rear garden laid mainly to grass; exclusive cellar.